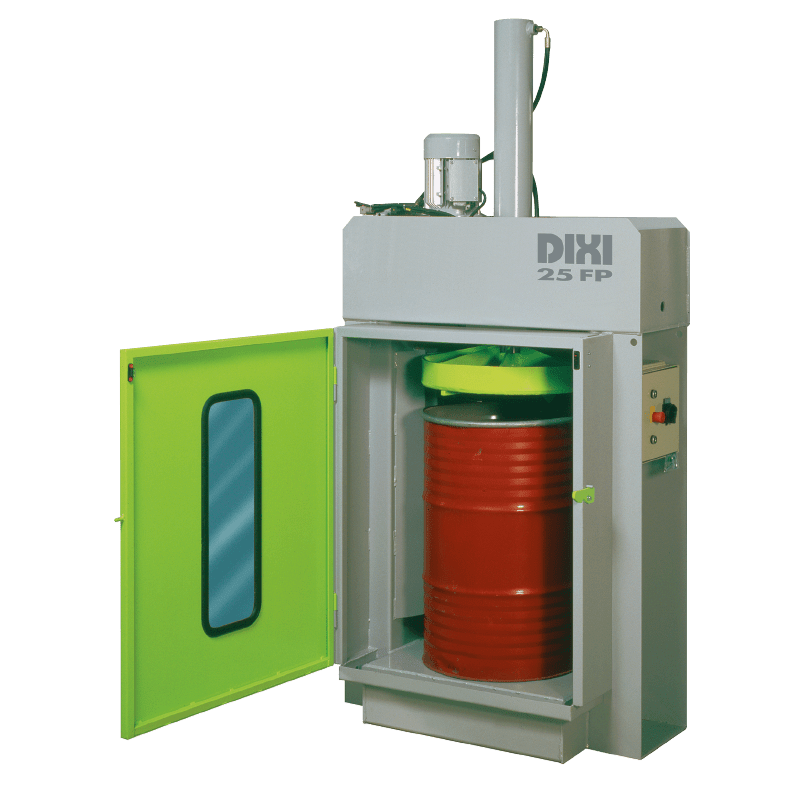 The 5 SK Galvanized triple chamber has been used for many years in large food manufacturing warehouses. 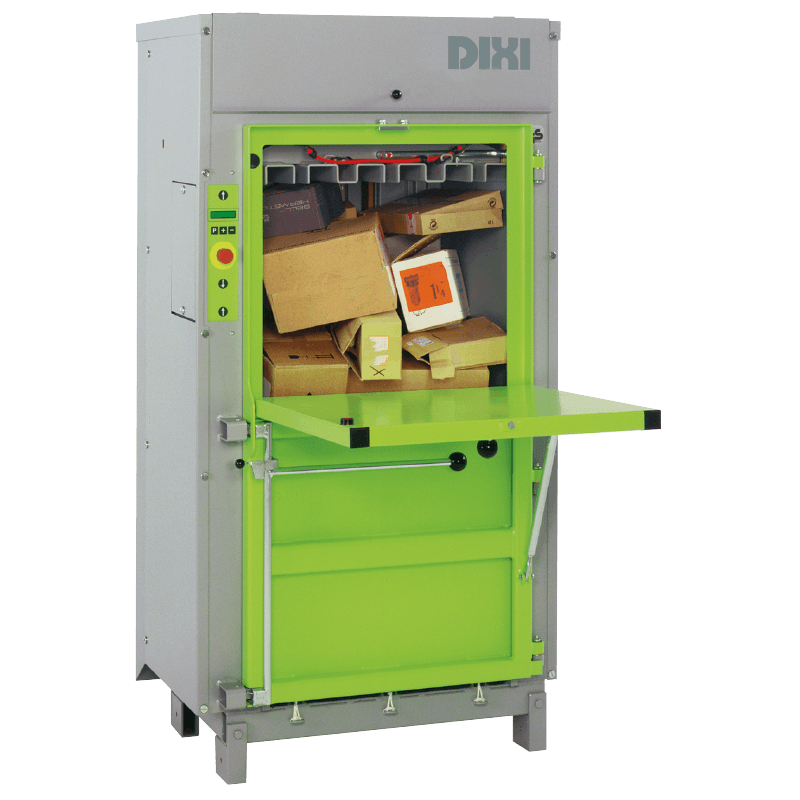 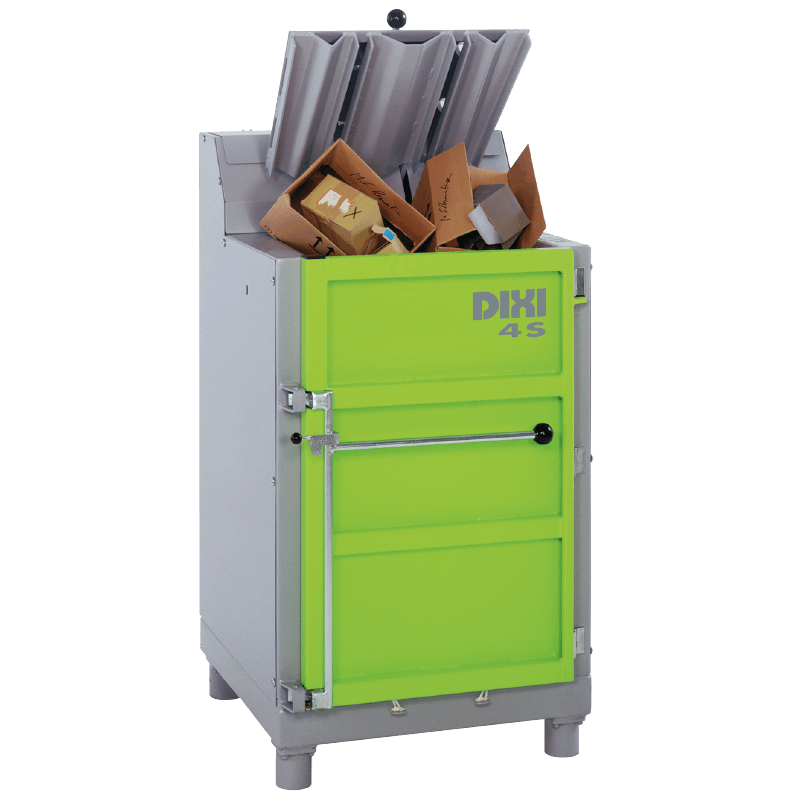 The 5 SK baler can be single, double or triple chambers, for separation and sorting of different types of waste streams such as: Cardboard, Plastic, Cans/Tins and black bag general waste. 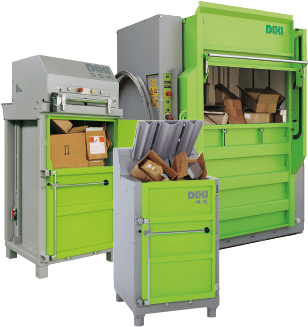 The waste materials, like paper, cardboard, foil and plastic can be compacted according to categories after sorting – for efficient and economical recycling. 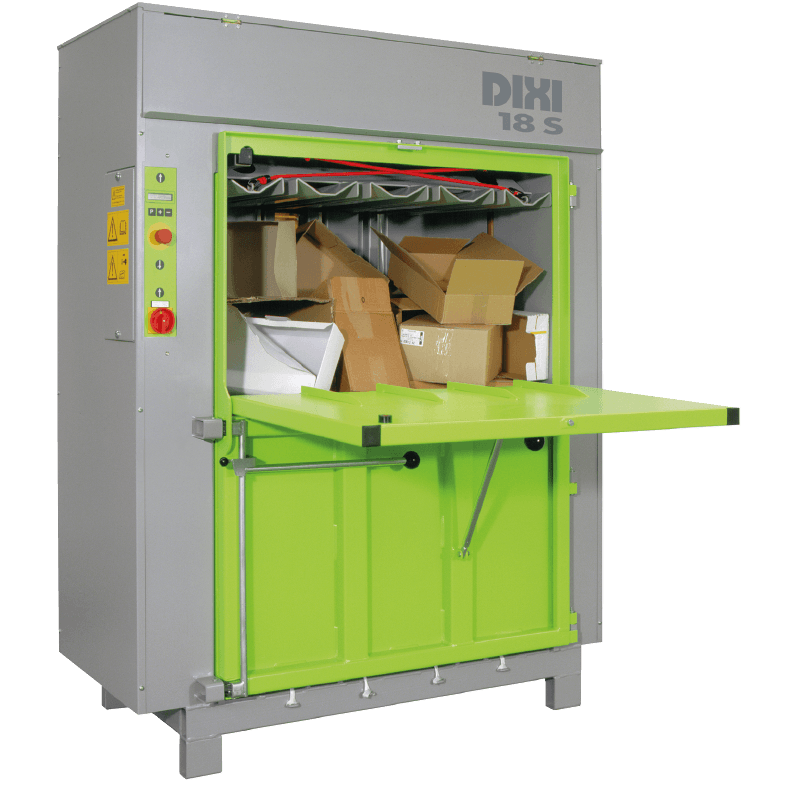 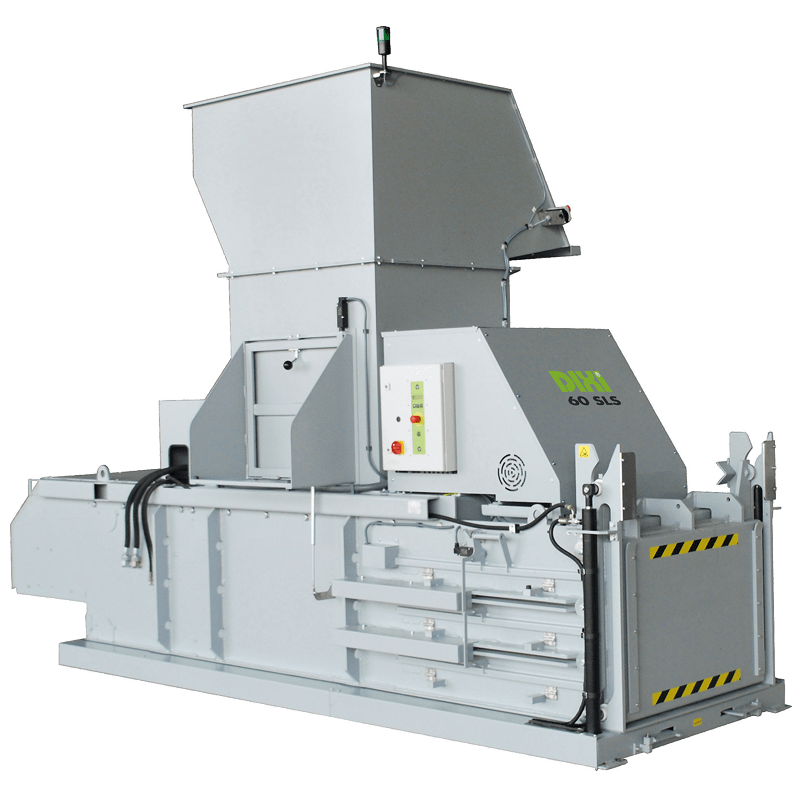 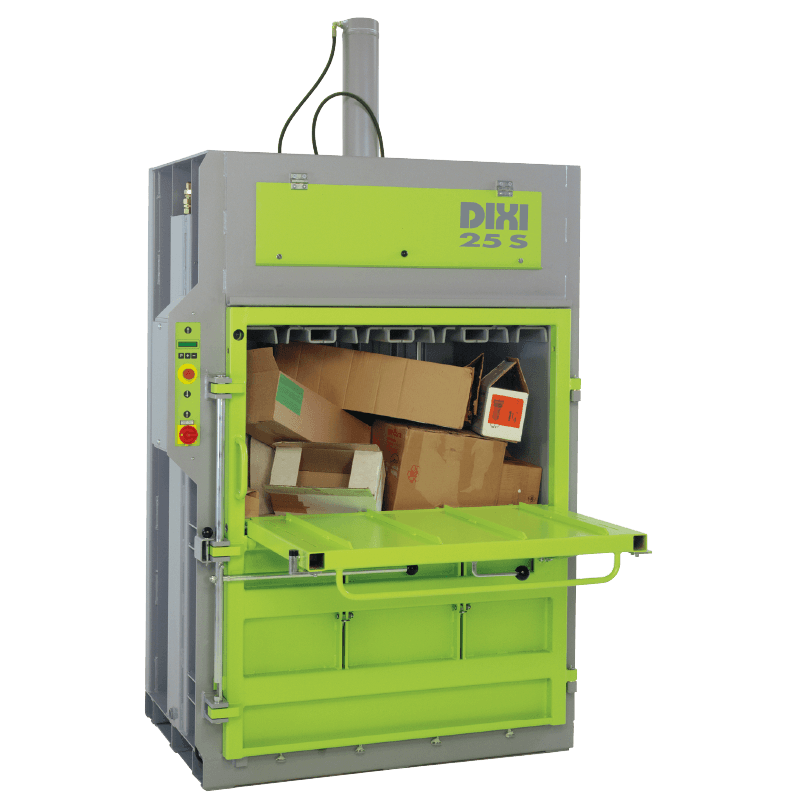 The basic model is delivered as a one-chamber baler – it can be expanded to any number of sections in order to recycle and bale different waste streams. 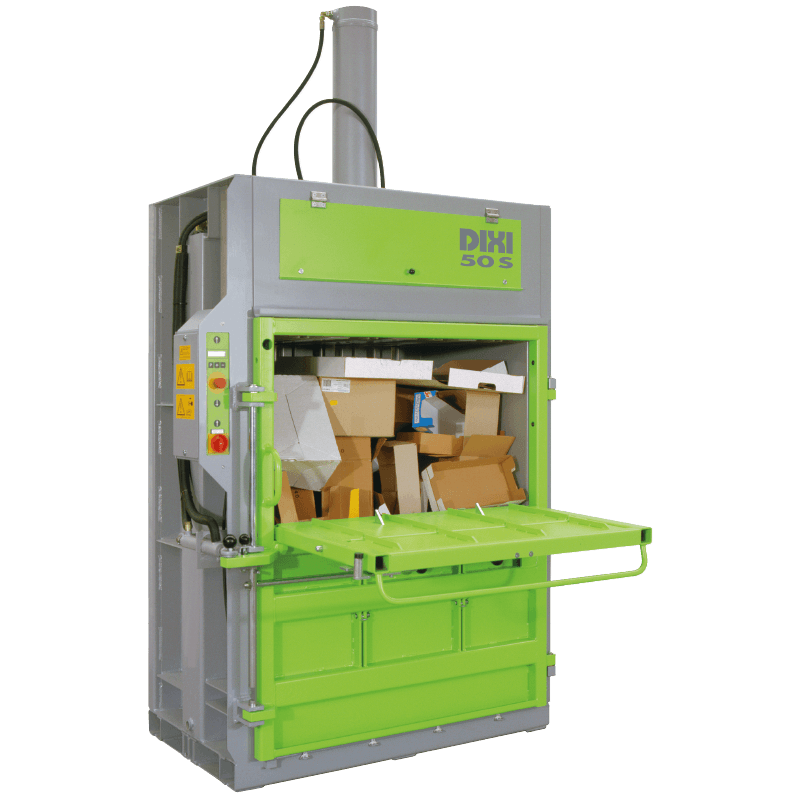 The press ram slides easily across to the chosen chamber with rapid compacting cycles, automatic ram return and visual indicator to show when final bale size is reached. 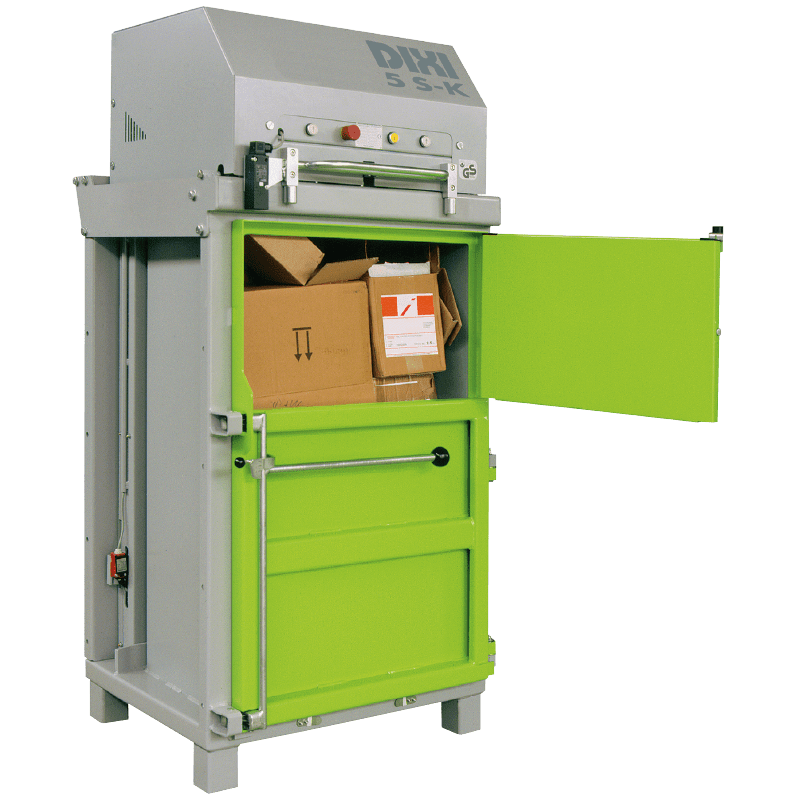 The baler has the option of 3 phase or single phase, with power saving facilities with an auto shut off on the upstroke of the compaction plate. 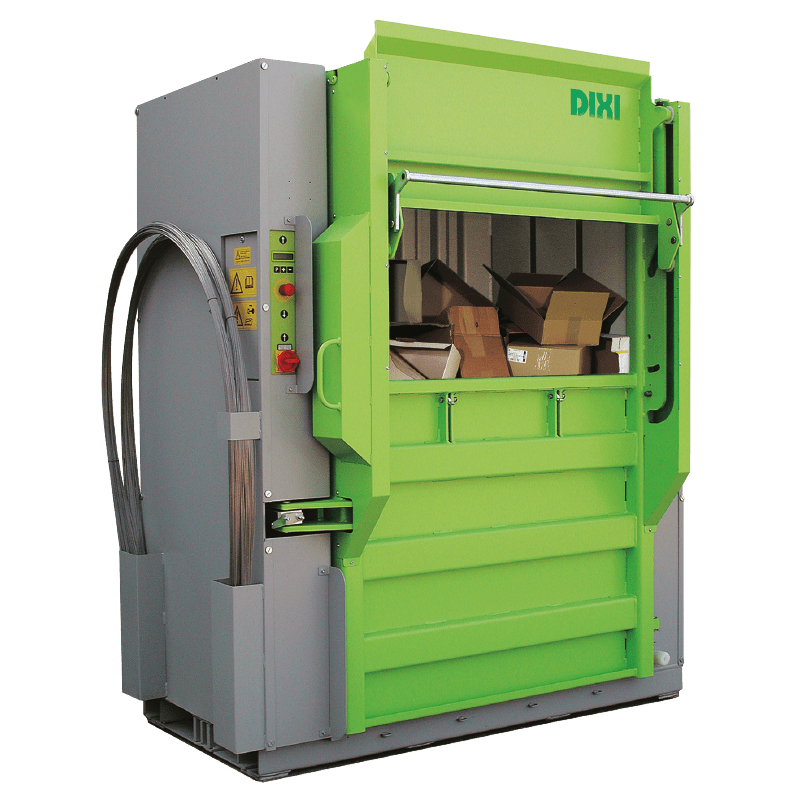 Easy handling of the bales with a bale trolley, the option to install an adaptor plate in order to compact tins/cans.